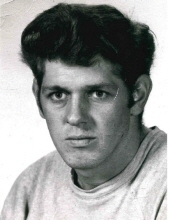 Ted William Belcher, 77 of Morrill, passed away on April 14, 2019 surrounded by his loving family. Ted was born in Washington Maine on March 30, 1942 to James and Viola (Ripply) Belcher. He proudly served an enlistment in the United States Army. Ted was predeceased by sister, Ann Dryer and by his brothers, Bobby Belcher, Jimmy Belcher, Keith Belcher and George Belcher. Surviving are his wife Julie Belcher who was truly the love of his life; his son Stacy Belcher and his wife Jessica; his daughters, Candice Belcher-Ravin and her husband Seth, Kristen Belcher and Lisa York and her boyfriend Paul Fettinger; his grandchildren, Ashlie Belcher-Gould and her husband James, Terri Belcher, Roger Ryder, Natasha Horsman, Amanda Ravin and Cody Ravin; his sisters, Eva Pitcher, Mona Cooley and Armajean Burns; his brothers, James Belcher and his wife Lillian Belcher, Norman Belcher and his wife Pam, Frank Belcher and his wife Gloria and Jerry Belcher and his wife Gloria; his mother-in-law Maude Higgins; his sister-in-law Judy Hall; his brother-in-law Red Hall; his 26 nieces and nephews and a host of loving friends. A celebration of life will be held on Saturday July 20, 2019 from 10 am to 12 pm at the Belfast VFW. To send flowers or a remembrance gift to the family of Ted William Belcher, please visit our Tribute Store. "Email Address" would like to share the life celebration of Ted William Belcher. Click on the "link" to go to share a favorite memory or leave a condolence message for the family.